The 150 years of steam power on the Ffestiniog Railway follows the last 150 years of steam power, filmed for DVD video early May 2013. The DVD documentary about the Ffestiniog railway in Wales contains unique footage of the event in May 2013, with access to all areas including cameras mounted on locomotives, footplate rides on Price & Blanche. The 2 DVD discs are narration free with information captions. 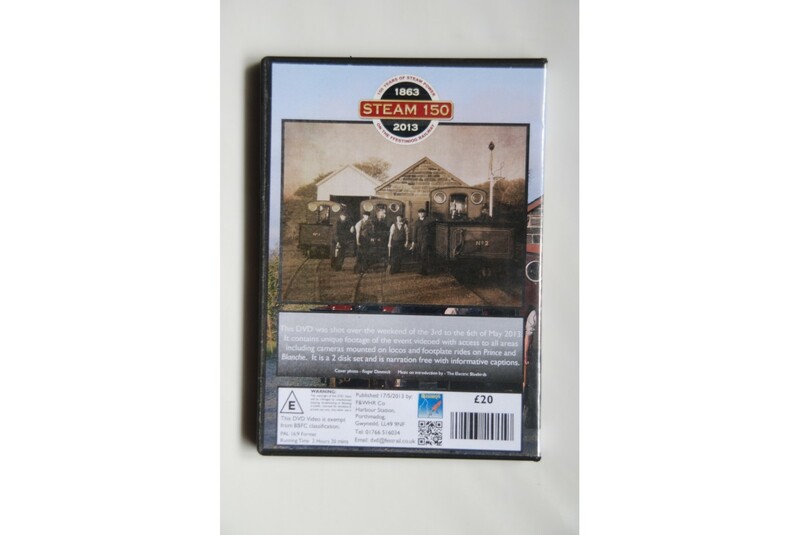 All round this heritage railway DVD gives a wonderful insight to the Ffestiniog & Welsh Highland Railway over the last 150 years, from 1863 to 2013 and is highly recommended.